It’s time to take out the chalk board and score another victory for the corporations. On top of somehow getting protection under the First Amendment, being able to pump as much money as they want into any politician, and possibly being able to vote one day despite the fact that they’re, you know, not a real human being, credit card corporations now have the undisputed power to bind you to arbitration. In a landmark, and crazy, decision by the U.S. Supreme Court, the justices in an 8-1 vote held that arbitration clauses in credit card agreements do indeed bind consumers into settling their claims before an arbitrator and not a court of law. Justice Ginsburg was the sole dissenter and thus the de facto voice of reason in this incredibly business-friendly decision. If you haven’t been following this case (CompuCredit Corp and Synovus Bank v. Wanda Greenwood), the background is simple. 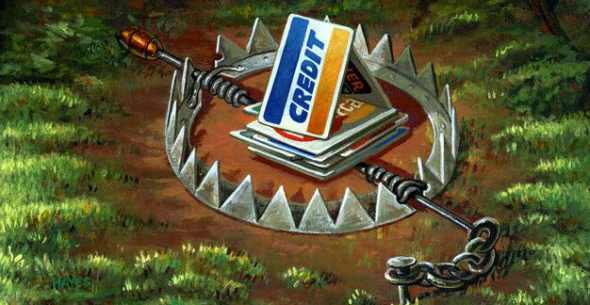 Back in the mid-1990s Congress passed the Consumer Credit Protection Act (CCPA) in response to the rampant predatory credit card business practices going on in the country. Within the Act was a section titled the Credit Repair Organizations Act (CROA). This law was meant to force credit card companies to stop deceptive advertising, give consumer full disclosure of a credit card terms, and allow cardholders to repair their credit rating if damages by the company. But most importantly it also had a provision that limited the type of clauses that could be included in a credit card contract, chief among them was an ambiguous section about whether or not arbitration clauses were allowed. That section served as the jumping off point for the case heard before the Supreme Court this week. A number of credit cardholders who signed up for low-rate Aspire Visa credit cards from the defendants, CompuCredit and Synovus, accused the company of improperly charging them over $250 fees which the plaintiffs claimed was in violation of the contract they signed. The plaintiffs tried to turn the case into a class action lawsuit, but the defendants stopped them by asserting they had to fight the case in arbitration as stated in the agreement they signed. The plaintiffs then brought their case to court citing that arbitration clauses weren’t enforceable under CROA. Though they initially won in both the federal district and appeals court, the Supreme Court overturned the case in favor of the corporations. The ruling is simply bad news for consumers on a number of levels. The first reason, which also happens to be the biggest irony of all, is that the defendants here are requesting that the courts respect the arbitration term laid out in their contract and force consumers to forgo their right to trial. This is despite the fact that the only reason the defendants are in this pickle to begin with is because they allegedly violated the terms of their own contract, which they now want the court to enforce. I imagine this is the same kind of logic you hear from a crazy hobo. The second reason this is a bad decision is because now credit card companies know they have the upper hand. Reports estimate that only about 116 CCPA cases have been filed since the law was first passed. If you’re doing the math, that’s about seven cases a year. Now some may argue that the reason credit cardholders aren’t suing under CCPA is because the Act is working and credit card companies and consumers have just been getting along dandily. Realistically, the reason there were so few suits probably was because consumers felt powerless in their ability to win their cases against the rich credit card companies. Or because most consumers know that the incredibly restrictive arbitration clauses in the contracts they sign put them in a real bad position should they lose their case. Don’t believe me on how bad those arbitration terms can be? Just pull out your credit card contract, if you can find it. Many credit card companies, especially those in the market of lending to those with bad credit or little money, have arbitration terms that initially seem fair, but upon closer inspection are actually the opposite. These terms usually shift most or all the expenses related to arbitration onto the losing party, which is usually much more expensive then the cost of filing a small claims action. Costs can include paying for the arbitrator and potentially all the attorneys involved. Many also require the arbitration itself to be held in a particular state, regardless of where the consumer is actually located. Not to mention the fact that generally the dispute itself is likely to be one where the monetary incentive of winning far exceeds the cost of the whole arbitration procedure itself. Does anyone really want to waste five grand and a couple days of their time just to get back a $200 overage charge? That’s credit card company arbitration folks. Small claims courts on the other hand will have you in and out with little more than a small filing fee and no lawyer requirement. The third and the most important reason why the Supreme Court’s ruling is bad is that it allows credit card companies to circumvent the original protections that the CCPA was designed to give consumers. 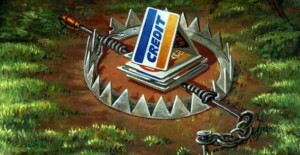 Credit card companies make the vast majority of their money by charging you fees and interest. It’s not a business of benevolence. The catch is that they know that there will always be people out there who are poor, have bad credit, and/or are in generally need of immediate money. For these reasons, short of an apocalyptic event that renders money worthless and reverts society into a Mad Max-esque existence, credit card companies know that they will always have a constant consumer because people always need cash. Now that they know a good arbitration clause can keep their litigation risks and costs low by keeping them out of court, they’ll have no qualms with giving full disclosure of their credit card contractual terms. People strapped for money will always need credit cards anyway, and being told that they’ll be paying an astronomical interest rate or missing a payment puts them in immediate default will likely do nothing to stem the tide of credit card seekers. It’s a sad day for consumers everywhere. You can thank the U.S. Supreme Court for that.